Theo designed the TSARS’ VILLAGE TREASURE to celebrate the establishment of this most beautiful of architectural and domestic creations ’ the Tsars’ Village, just outside St Petersburg. As we approach the year 2010 we prepare to celebrate the tercentenary of the foundation of this imperial idyll just outside the former Russian capital. 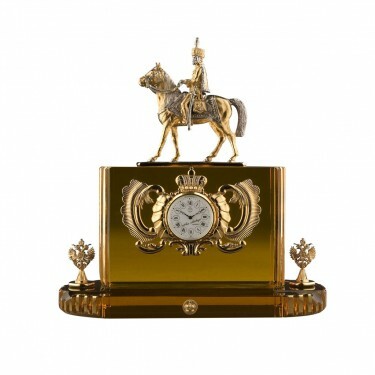 The crystal for the Clock is mouth-blown in amber crystal. To the base are applied two Russian Imperial Eagles and a miniature crown from the Romanov Dynasty. 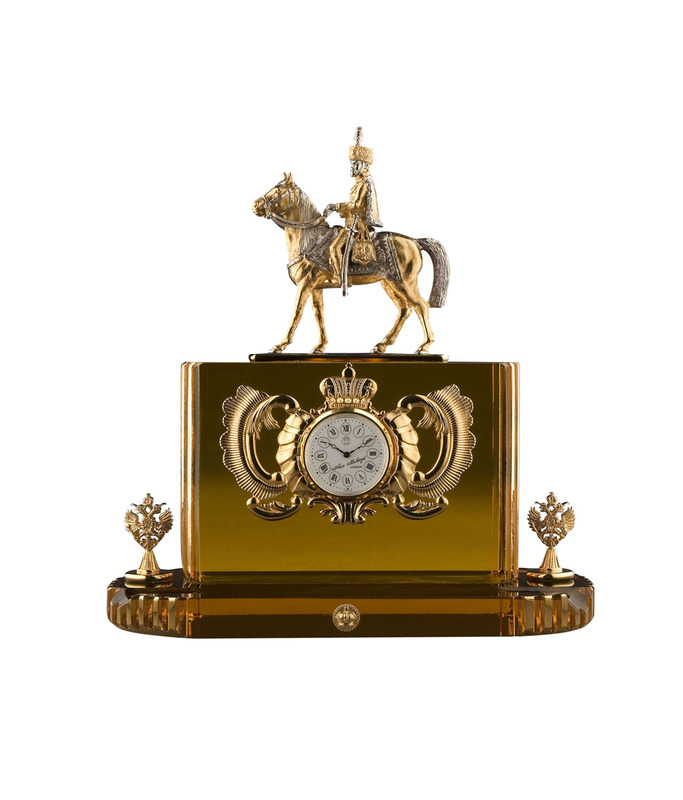 To the centre, a clock, its face embellished with Theo Fabergé’s signature and surrounded by armorial decorations derived from a panel in the Amber Room in Peterhof. To the reverse, a replica Prussian coat of arms also originally created in Baltic amber. 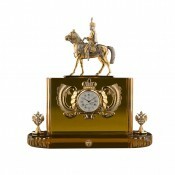 To the top, Tsar Nicholas 11 in officers’ uniform, on horseback and faithfully modelled in gold and silver. The Tsars’ Village Treasure will raise funds for the restoration of the Tsars’ Village and in particular of Alexander Palace.